For over twenty years, The Untouchables Band has mastered the art of making a party unique and memorable. 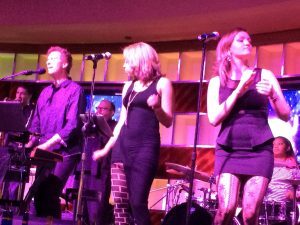 We customize a wide variety of continuous music, with an extensive repertoire that spans from the 50’s to present, and our versatility and interactive energy make us the perfect band for any occasion. Let’s create YOUR CELEBRATION OF A LIFETIME! Variety, Excitement, Elegance & FUN!! !